Kane – Military trained canine. Tucker Wayne and his faithful companion Kane are introduced in this kickoff to their own series. The story begins when they rescue a woman. This woman however has a secret tied to Nazi Germany. 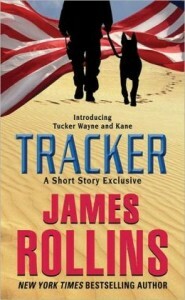 What secrets does she hold, and what dangers will Tucker and Kane face, to find out read Tracker. I really loved these characters. I’ve not read a lot of Mr. Rollins works, though I have friends who are devoted followers of his writing. However, the few books I’ve read I’ve found enjoyable. This one is no exception. The characters are well developed, and realistic. Unlike other stories, where the animal is merely there, Kane has an active part in the story and at times is a POV character. That is often some of the more interesting aspects of the story, seeing Kane and his training and thoughts. Language is a minimum, so all ages will probably find this appropriate. At 83 pages, it can be read in an afternoon, and is a great kickoff to the Tucker and Wayne series, and a good companion series to the Sigma Force of which this is loosely tied. So for a great, quick adventure, pick up a copy of tracker and be sure to drop back by and let us know what you thought. Today We are pleased to have with us Wendy Staub, author of The Perfect Stranger. Wendy Staub: I’d say roughly half my time now is devoted to the business end of my career, and I’m on the road frequently promoting my books at reader conventions, author conferences, and of course on book tours. I’m also a married mom of two kids who keep me busy. I’m writing three books a year right now, and unfortunately, I’m not one of those fortunate authors who can pop open a laptop on the fly and write a chapter or two in an airport. So when I’m home, I’m invariably in my office from 12-14 hours a day, seven days a week, living and breathing my fictional world until the book is finished. The total immersion process works best for me. Wendy Staub: Several times a year, I have to produce a 100,000 word novel in 8-10 weeks. Math was never my strongest subject, but that’s what it comes down to: I divide my target number of pages by the number of weeks I have until deadline. Every Friday on my desktop calendar is marked with a page number I need to reach by that day. I never allow myself to miss these personal mini-deadlines, because my publishing contract deadline depends on it! Wendy Staub: My mom was an avid reader and my father and paternal grandfather were fantastic verbal storytellers, so it was in my blood. As a little girl in grade school, I would write “novels” longhand on notebook paper. Later, I wrote for school newspapers and literary magazines and was submitting my work for publication even back then. I finally made my first sale in college – I published a poem in Seventeen magazine – and placed in Writer’s Digest’s annual short story contest a year or two later. I sold my first novel at 27, after I’d moved to New York City and gotten a job as an editor. Over eighty books and two decades later, I’m blessed to wake up every day and make a living doing what I love best. Rhodes Review: Do you have any suggestions to help my readers become a better writer? If so, what are they? Wendy Staub: Decide whether you’re writing for yourself, or writing for an audience. There’s unlimited creative freedom if you’re not trying to sell your work. But if you’re focused on a writing career, keep in mind that you aren’t just creating art–you’re creating a product. That means being open to constructive criticism and perhaps realizing that your vision isn’t necessarily always going to mesh with the publisher’s vision. Learning to let go and adapt your work for the market is the first crucial step on the road to publication. Rhodes Review: Do you read reviews of your books? If so, do you pay any attention to them, or let them influence your writing? Wendy Staub: I absolutely read my reviews in trade magazines like PW, RT, Suspense Magazine, Kirkus, etc., and I read blogger reviews. When it comes to online reader reviews, I used to be obsessive about checking them. I’m always grateful when someone takes the time to post an honest review, whether it’s positive or negative. But open forum reviews online can be frustrating. They might contain a so-called “review” from a reader who will give my book, say, one star on Amazon, stating in the opening line that she didn’t read it but is protesting the price or the publishing company, that sort of thing. Or people post a spoilers, ruining the book for potential buyers—and it’s time-consuming for my publisher to get them removed. These days, I scan online bookstore reader reviews from time to time and I absolutely absorb feedback—what do they like about my books? What could be stronger? But I’m a very active presence on social media, and that’s where I interact with my readers in an ongoing dialogue that is invaluable not just because I incorporate their feedback but because I want them to know how much I appreciate their input. They’re tremendously loyal and without them, I would not be able to do what I do. Rhodes Review: If you were to do your career as an author again, what would you do differently, and why? Wendy Staub: Truly, I wouldn’t change a single thing. I was blessed to make my childhood dream come true, and I want my kids—and kids everywhere—to know that no dream is impossible. I did it, and so can you, if you’re willing to give it your all. Wendy Staub: My third grade teacher praised the first thing I ever wrote—an Abraham Lincoln essay–and I went home from school that day and told my parents that I wanted to become an author when I grew up. I never looked back! Wendy Staub: I’m passionate about travel—my husband and I set out to visit all 50 states with our sons when they were in elementary school. I’ve been to all but one (Wyoming), and the boys are missing only two. When I’m not traveling, I love nothing more than to cook for a crowd and sit around our dining room table laughing and talking for hours. That’s how I grew up! I come from an enormous extended and close-knit family and I married into one, and I’m fortunate to have maintained friendships from all phases of my life. Rhodes Review: What do you think makes a good story? Wendy Staub: When I’m writing a suspense novel, I never lose sight of my goal, which is to keep my reader turning pages, trying to figure out whodunit. My trademark is to mask a villain behind a familiar face so that the reader is blindsided by the final twist. If they say, “Wow! I never saw THAT coming!”—then I’ve done my job. Wendy Staub: There are far too many to list here, and I count many household name authors among my personal friends, so I don’t want to leave anyone out! When I’m writing a novel—which is pretty much always—I try not to muddy the waters by reading one. I want the only fictional voice in my head to be my own. Rhodes Review: What was the inspiration for The Perfect Stranger? 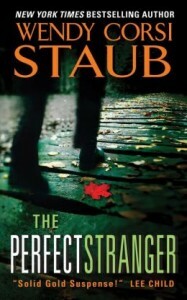 Wendy Staub: This is the second book in my social networking suspense trilogy for HarperCollins. The three novels are connected not by characters or setting, but by theme: do you ever really know who might be lurking behind a familiar screen name on the Internet? THE GOOD SISTER (Harper, October 2013), was about cyber-bullying and a fictionalized version of Facebook; THE BLACK WIDOW (Harper, March 2015), is about online dating. THE PERFECT STRANGER revolves around a group of breast cancer bloggers who are scattered all over the country and find kindred support and friendship in each other that they haven’t found in their real lives. They meet in person for the first time at a funeral when one of them falls victim to a random murder—or so they believed. Now they wonder if she shared too much online and if her killer is a fellow blogger who might go after one of them next. The decision to write about breast cancer survivors was a personal and poignant one. I’ve lost my mom, mother-in-law, and her sister to breast cancer. In our family, we didn’t know anyone who had beaten the disease; only three beloved women who had lost their battles. So when my sister-in-law, who’s just my age, was diagnosed, she found herself turning to online resources –including blogs–for support and information. She’s a fiercely private, even shy, person but she eventually wound up writing her own cancer blog and meeting a network of women who became friends. I was so struck by these strong, courageous women and the bond they developed that I knew I had to write about it. Wendy Staub: Because it features a group of characters who are scattered around the country, I visited all the locations in person to make the settings (Alabama, Indiana, Cincinnati, Kentucky, Boston, and L.A. in addition to my own home city New York) as authentic as possible. As I said, travel is my passion and I enjoy every minute of my on-location research. Rhodes Review: What was the hardest part to write in the book? Wendy Staub: Cancer is inherently seen as a dark subject. But this isn’t a medical thriller; it’s a domestic psychological suspense novel just like my others. My heroine has waged two fierce battles for for her life: one against cancer, the other against an unseen internet predator masked behind a familiar face. I worked hard to strike the right balance between them. Rhodes Review: What if anything do you wish was different about the book? Wendy Staub: I dedicated it to my sister-in-law and two of my closest friends who are survivors. Recently, I learned that another close friend has been diagnosed and it was too late to include her name. Other than that…no regrets whatsoever. Early feedback has been very positive and it seems that my readers are pleased to find this one filled with my trademark twists and turns and a final blindside. New York Times bestseller Wendy Corsi Staub is the award-winning author of more than seventy-five published novels and has sold more than four million books worldwide. Under her own name, Wendy achieved New York Times bestselling status with her single title psychological suspense novels. Those novels and the women’s fiction she writes under the pseudonym Wendy Markham also frequently appeared on the USA Today, Barnes and Noble Top Ten, and Bookscan bestseller lists. Wendy’s latest suspense novels for Harpercollins are linked by a social networking theme and include THE GOOD SISTER (Harper, October 2013), which has been optioned for television by Fox, as well as the upcoming THE PERFECT STRANGER (July 2014) and THE BLACK WIDOW (2014). Earlier in 2013, she concluded a bestselling, award-winning trilogy that was launched by Harpercollins in September 2012 with NIGHTWATCHER, which won the 2013 Westchester Library Association Washington Irving Prize for Fiction. It was followed in October by the New York Times bestselling SLEEPWALKER, which went on to become a finalist for the prestigious Simon and Schuster Mary Higgins Clark Award presented at the Mystery Writers of America Edgars Symposium in April 2013. The trilogy’s final title, SHADOWKILLER, was released in February 2013. Wendy’s thriller LIVE TO TELL (Avon Books, March 2010) received a starred review in Publishers Weekly and was also a finalist at the 2011 Mystery Writers of America Edgar Awards for the Mary Higgins Clark Award. 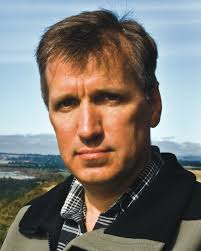 The sequel, SCARED TO DEATH, (Avon Books, January 2011) was honored with the WLA Washington Irving Prize for Fiction and the trilogy concluded with the bestseller HELL TO PAY (Avon Books, October 2011). She contributed a short story, “My Father’s Eyes,” to the FIRST THRILLS anthology edited by Lee Child (Forge, June 2010). As “Wendy Markham,” her most recent title, THE BEST GIFT, is a sequel to the acclaimed 2006 Christmas Time Travel romance, IF ONLY IN MY DREAMS (both from Signet). Wendy won the 2008 RT Award for Career Achievement in Suspense and the 2007 RWA-NYC Golden Apple Award for Lifetime Achievement. A proud recipient of the RWA Rita award, she has also been honored five times with the Westchester Library Association’s Washington Irving Prize for Fiction and was recognized as one of WLA’s Millennial Authors in 2000. Her Wendy Markham novel SLIGHTLY SINGLE was named one of Waldenbooks’ 100 Best Fiction titles of 2002. 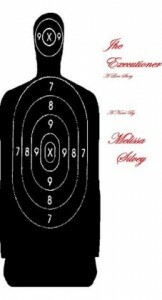 Her novels SLIGHTLY SUBURBAN, THE LAST TO KNOW, and ASK ME AGAIN were nominated for RT Reviewers Choice awards, and five of her novels, DON’T SCREAM; THE LAST TO KNOW; MIKE, MIKE AND ME; HELLO, IT’S ME; and BRIDE NEEDS GROOM, were awarded a month’s top pick review by the RT BOOK club magazine. Her work has been translated into more than a dozen languages worldwide and her titles are regularly selected as features for Mystery Guild, Literary Guild, Doubleday Book Club, Large Print Book Club, and Rhapsody Book Club. BamaBelle/Landry Wells – Blogger and cancer survivor. Meredith Heywood – Blogger, Cancer Survivor. A close knit group of cancer patient bloggers are shocked when one of their group ends up dead. This death however, is not from cancer, but appears to be murder. Is one of their own responsible? This was a really good story. The characters were developed well, but outside of the characterization, was a kind of warning. A warning on the dangers we all face in this technological age of having too much of our personal lives known by strangers. What happens when one of those strangers might decide to use the information we innocently post, to being doing harm. That is the overall theme of this novel and leaves a lot to think about. As the women are pulled deeper and deeper into the mystery of their friends death, paranoia begins to seep in. Who could the killer be? Is it JayCee? Could it be first grade teacher Elena? As more and more victims pile up to the killer, the suspicions grow. This was my first time reading one of Ms. Staub’s novels, but if it’s an example of her writing, I will definitely go back and check out some of her previous and future entries. Due to content, I’d recommend it for older audiences. But for those who enjoy a good thriller, check out The Perfect Stranger, and as always be sure to drop back by and let us know what you thought. Also be sure and drop by and read our interview with Ms. Staub. A rich businessman is murdered. Holly Daze’s next door neighbors boyfriend becomes a prime suspect. Holly Daze is determined to find out what happened. This was a fun story. 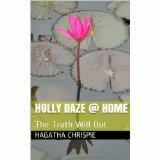 As it appears to be a debut novel, it was a good introduction to Holly Daze. Parts of it reminded me of some of the gay themed adventure films such as To Wong Fu, The Bird Cage, and Priscilla Queen of the Desert. You have drag queens, family members, etc. all joining together in order to solve this mystery and doing it in drag queen style. The language and content leaves it for older audiences. As it does lean towards supporters of the LGBT community, some more conservative readers may find it not of their interest. But for those who can just enjoy a fun romp with a mystery theme, you may want to check out Ms. Chrispies novel. As always, if you check it out, drop back by and let us know what you thought. Hagatha Chrispie is old enough to know better and young enough not to care! She’s Southern born and bred and can bless a heart in an Atlanta minute! She worked in small town newspapers throughout the Southeast and has been gay friendly since before gay friendly was cool! *Disclaimer* A special thanks goes out to Author at for a review copy of this book. It in no way influenced my review. You can discuss it here or join my facebook page and discuss it there. Florian Desjardins – Secret Assassin. A trained assassin finders herself as the target, when it’s discovered that someone is out to kill her. She ends up on the run with her next door neighbor, and a Federal Agent. What they find is how much they all three need each other. This book was a bit of a stretch outside my normal genres of reading. While I’ve done books on sexual themes before, I always find it a bit difficult relating to characters going through things I’ve not experienced. That being said, I found myself liking these characters. Each of the three primary characters seemed to have traits that the others depended on. That hold true in almost any relationship. My wife and I bring different strengths to our relationship, and Florian, Jordan, and Vince did the same to theirs. While I’ve never been involved in a polyamorous relationship, I can kind of understand it, and support it. Due to the sexuality, this book may not appeal to all readers. It involves multiple pairings of sexuality from m/m, to m/f and m/f/m. But for some of the more open minded readers, I think you may find yourself enjoying the story. In the end it’s a love story about 3 people, all broken, and all needing something in each other to repair the cracks in themselves. I’d rate it for adults due to the content. But I think it has its appeal to the modern reader and think you’d find it enjoyable. Be sure and check it out, and drop back by to let us know what you thought. Melissa Silvey is a West Virginia native currently residing in Alabama. She is a 43 year old mother and college student. She’s taken several creative writing classes and workshops, and is actively trying every day to improve her writing. She still doesn’t know what she wants to major in, it changes every day but she’s leaning toward law. The good thing about her mind changing every day is that she’s always thinking: what if. And what if usually leads to a new idea for a book. She’s been writing since she was a child, but only recently found an outlet in e-books.